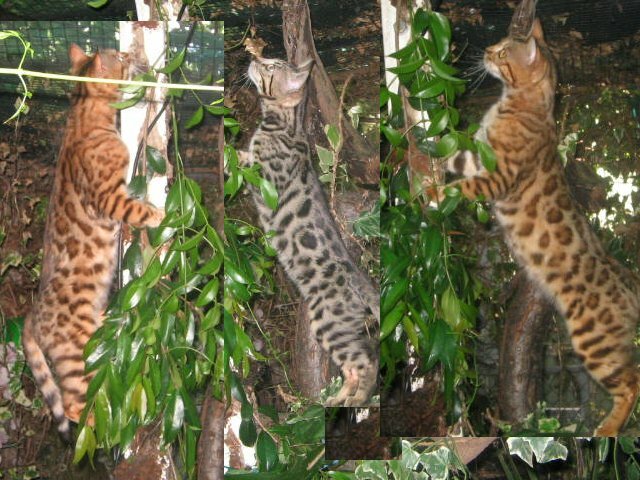 Bengarlis Bengals breed outstanding Bengals from award winning Sires and Queens. We are located in Melbourne, Australia. I have owned, shown and bred the wonderful Bengal for more than 25 years (since 1991). We were known initially as Australis and are now known as Bengarlis. We brought the first & original pair of Bengals into Australia. Glamourcats Roosevelt (F4) and Leopardline Bettina (F3) who came imported from Jean Mills (USA), they gave us only 2 litters. Their daughters Australis Chelsea Blue, Sunbright and Ladybird were the ambassadors, along with our English imports Starwinds Dynamic Design and Starwinds Golden Aura, were the first Bengals in Australia to be registered with the governing council, and so the registered Bengal in Australia finally had acceptance as a registered purebred.